Newly elected Democratic National Committee Chairman Tom Perez gives a victory speech during the general session of the DNC winter meeting in Atlanta, Saturday, Feb. 25, 2017. A lot of politicians used to strive to sound at least a little like JFK or Ronald Reagan. Do they really now want to sound like Howard Stern? A few politicians, on both sides of the aisle, have begun to season their speeches with words their parents probably told them not to use, and that we still can't on the air. Not off-the-record comments, or bloopers muttered over an open mic, but deliberate statements delivered from podiums before cheering crowds, or uttered in interviews. We have to begin with Donald Trump, who thundered profanities scores of times during last year's presidential campaign, including a vow that he would "bomb the s***" out of ISIS, and tell Chinese leaders, "Listen, you ..." Well, I can't even bring myself to hint at it. 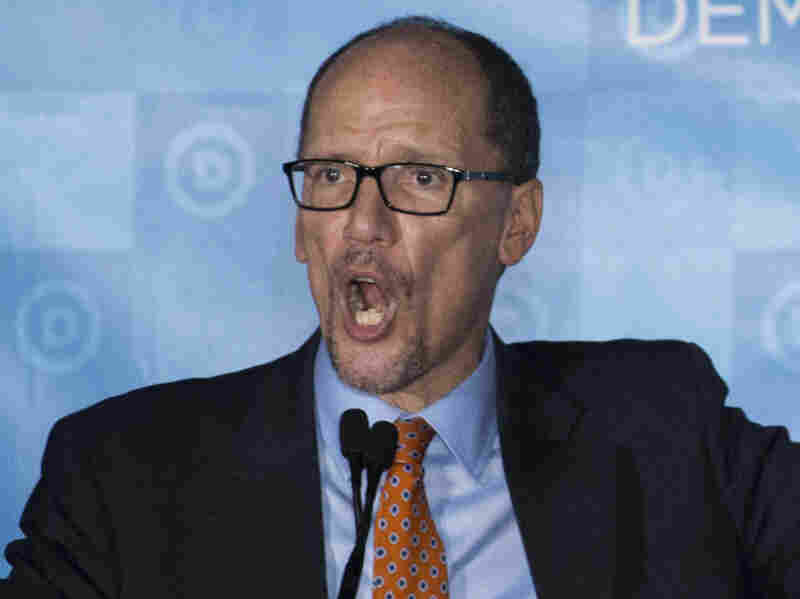 Now in recent weeks Tom Perez, the chairman of the Democratic National Committee, has told rallies that President Trump "doesn't give a s*** about health care." He's also assailed the president's proposed budget by saying, "They call it a skinny budget, I call it a s***** budget." In fact the DNC has begun to sell T-shirts that read, "Democrats give a s*** about people," which might be a little harder to wear when you pick up children at school than a shirt that says "Iowa Hawkeyes," or "Keep Calm and Carry On." New York's Sen. Kirsten Gillibrand recently told New York Magazine, "If we're not helping people, we should go the f***" — a familiar old Anglo-Saxon expression — "home." She added that she had forgotten to, "f****** order" Girl Scout cookies this year. To be fair, I'll bet a lot of parents have talked about f****** Girl Scout cookies now and then. And in New York, the word f*** can be as common as sesame seeds on a bagel. But I wonder if all this public potty-talk is truly spontaneous and sincere. It smacks of being a political gimmick, not David Mamet dialogue. The cursing follows a widely-publicized study in the Social Psychological and Personality Science journal that says — and this quote we can repeat — "profanity can be positively associated with honesty. It is often used to express one's unfiltered feelings (e.g., anger, frustration) and sincerity."